Jason earned a Bachelor of Arts from Dartmouth College in 1996 where he also played Varsity Football and Baseball. He then attended the graduate program at Boston University where in 1999 he received his Master of Science in Physical Therapy. 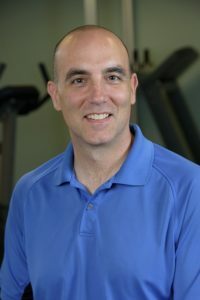 In 2000, he completed an intensive 360-hour residency program in advanced manual physical therapy and orthopedics. Through the one-year residency program, Jason acquired advanced manual therapy skills and expertise in differential diagnosis of orthopedic conditions. He is also Graston Technique certified. He especially enjoys educating patients about their condition, so they gain a long-term knowledge for self-management. Jason became President of OPT in August of 2006. Under his guidance OPT has become known as the place to go for personalized care. Patient education and teaching clients how to overcome their aches, pains and injuries is the back bone of what separates OPT from its larger competitors. Molly achieved a Doctorate in Physical Therapy from Franklin Pierce University. She began her academic and athletic journey at Bridgewater State University where she received her Bachelor’s degree in Exercise Science. She excelled on the Women’s Soccer field all four years and was named Team Captain her senior year. 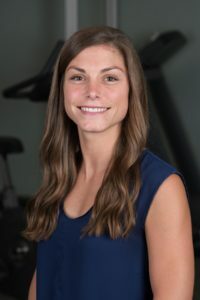 Apart from having a strong athletic background Molly has developed an ability to connect with patients of all levels and abilities. She chose to specialize in outpatient orthopedics because she loves the diverse population and enjoys building a rapport with her patients. She takes pride in helping her patients get back to their baseline level of function and providing patient education so that her patients can continue to progress even after their course of PT is completed. Molly is also certified in Graston Technique. Christiana “Chris” has been involved in physical therapy since interning with Emerson Hospital Outpatient Physical Therapy in 2006. She attended The University of Massachusetts Lowell and graduated with her bachelor’s in exercise physiology in 2010. Throughout her 4 years at UMass Lowell, Christiana played collegiate soccer and volunteered in the training room. Helping others with their injuries fueled her passion for physical therapy. Christiana went on to graduate from Mount Washington College with her Physical Therapist Assistants degree. Her dedication to physical therapy is exemplified by her working as a rehab aide at OPT since 2010 while she was studying and training to become a Physical Therapy Assistant. 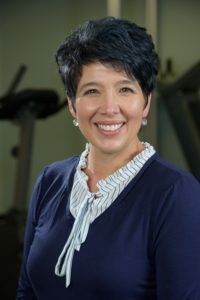 Christiana is passionate about outpatient physical therapy as well as pediatric care and is Graston Technique certified. Leanne received her Certificate of Massage in 2001 from The New Hampshire Institute for Therapeutic Arts School of Massage. After working as a massage therapist she realized her true passion for working with patients and helping them regain their function. 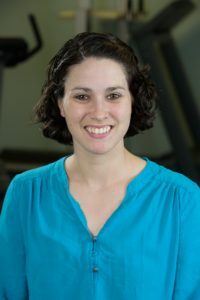 Leanne then graduated from Hesser College in 2013 with her Associates of Science Degree as a Physical Therapist Assistant. Leanne is experienced in manual therapy, orthopedic rehabilitation, geriatric care and the Graston Technique. Patient’s love Leanne’s high energy and uplifting attitude. Her desire to help patients feel better shines through in the way she treats each one as family. Outside of work Leanne enjoys spending time with her family, camping and working out.